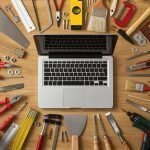 If you’re an avid blogger who needs to post regular blog posts or a programmer who really loves to host his latest projects into open source hosting providers like Github, chances are there that you’re already familiar with the concept of a markdown editor. Numerous other software or web service providers also maintain markdown editors for providing their users with a generic manipulation mechanism for web documents. However, stop worrying if you still don’t get the idea behind markdown editors. In this guide, we’ll outline what markdown editors are and highlight the best markdown editor for Linux users. Well, the thing is, as web pages require texts to be put inside these HTML markups, users will need to have a good grasp over this markup language if they want to publish their personal documents to the internet. This can become cumbersome and redundant while disrupting the user experience at the same time. Markdown editors have emerged to solve this problem. They are like any other text editors visually but converts the text files into HTML documents behind the scene. So, users can now simply type in texts, and the editor will take care of making it web-ready. Markdown editors have been used for over a decade now, but they’re starting to achieve mainstream limelight for these last couple of years. Stay with us throughout the rest of this guide to find out the top 20 markdown editors for Linux. Arguably the best markdown editor for Linux, Typora packages every convenient feature you’d want in an every day markdown editor. As the developers advertise it, it’s one of the best markup editor built on top of minimal design philosophies. It’s a classic take on markdown editors with simplistic yet highly versatile feature sets. 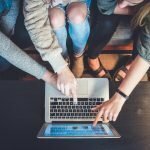 Typora aims at providing you a seamless experience as a writer of the web. This Linux markdown editor removes every common distraction like the preview window, mode switcher, syntax symbols and instead provides users the luxury of a real-time preview. The motto of Typora is, “What You See Is What You Mean”; and they live up to it exceptionally well. 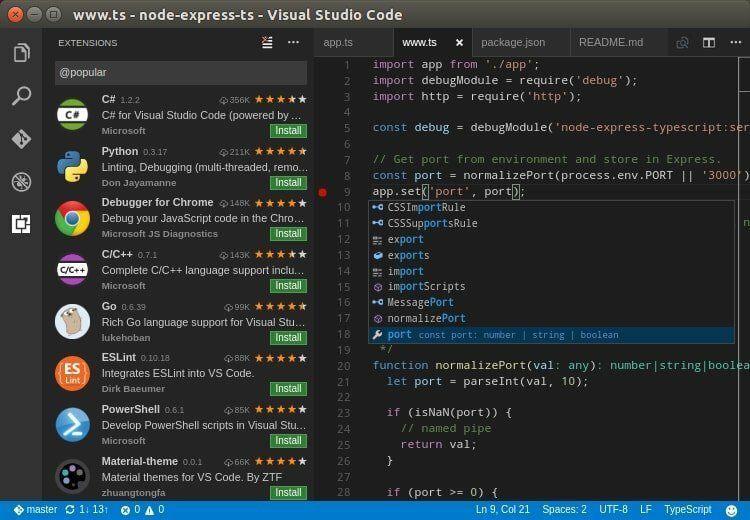 One of the best open source code editors we’ve seen these couple of years, Visual Studio Code combines performance with highly flexible core feature sets. It aims at providing you with a natural working environment when writing your next web document using markdown. It’s no surprise many markdown aficionados consider this as one of the top rated Linux markdown editors. The out of the box support of markdown provided by VS Code is superior to most other markdown editors for Linux. The huge performance boost this amazing editor provides us is due to Microsoft’s clever implementation of TypeScript. You can even extend the editor with loads of markdown extensions available freely. Considered as most used markdown editor for Linux among many enthusiasts, Atom provides users with a live split-screen preview with easy access to lots of packages that extend functionality. The mixed RTL/LTR implementation of this markdown editor is excellent, while the instant file switching feature is helpful for the busiest among us. It’s no surprise that developers tend to start holy wars whenever they talk about Vim. There’s only one single text editor(Emacs?!) that can challenge Vim’s position as the best text editor ever. Not just for markdown, any type of files you need to edit, no other editor comes close to matching Vim’s power and speed. Vim offers much superior productivity when editing markdown. This lightweight yet fast markdown editor is extremely portable while providing tons of flexible add-ons for using right out of the box. You can set up keymapping, macros, asynchronous I/O support, and multiple distinct editing modes when writing your next blog post with markdown. If you’re an avid Linux user like me, chances are you’ll fall in love with this powerful markdown editor pretty fast. You may find the author’s claim of Haroopad being the next generation markdown editor pretty extravagating at first, but when you experience the editor personally, you’ll surely respect their claims. The simple yet elegant interface of one of this best markdown editor for Linux is very appealing while packing a lot of power at the same time. The editor comes with a What You See Is What You Get (WYSIWYG) approach and simplifies many complex features present in other industry worn markdown editors. You will get access to every useful functionality needed for regularly writing markdown like auto-completion, text links, pre-defined modules, text emphasis, and blockquote. One of the best markdown editor for Linux today, Sublime Text 3 combines superior performance with rich feature sets. This beginner-friendly markdown editor has features like multi-line selection, robust APIs, split editing, and instant switching. You can enable the SublimeText-Markdown plugin for unlocking additional features particular to the markdown format. The syntax highlighting of this markdown editor is the most robust in any markdown editor for Linux we’ve seen. You can easily pair, list, link, and strikethrough your web text with the help of this markdown editor for Linux. You should already understand how powerful Emacs is when we previously compared it to Vim. Not only the best markdown editor for Linux, but many also consider Emacs to be the best text editor overall. You can not but be overwhelmed with the customizations options this markdown editor has to offer when writing markdown. The Emacs markdown mode enables you access to every type of feature you can imagine. From simple syntax highlighting to complex macros, the Emacs markdown mode allows users to use an extensive list of high-level functionalities. You can even embed ITEX mathematical expressions into your markdown with one of this markdown editor for Linux. It’s a simple yet versatile markdown editor that also supports reStructuredText markup languages. One of the newest markdown editor to be hailed as the best markdown editor for Linux, ReText comes with a long list of useful features for aiding your markdown writing sessions. This open source markdown editor for Linux gives users the ability to control every output formatting and allows them to use the WYSIWYM interface at the same time. This markdown editor is written in Python and thus customizing it should not be a hard task for even the newest developers. As you can already guess, Neovim is related to Vim. It can be actually thought of as Vim with specialized and flexible features elemental to markdown. It has a very extensive list of third-party plugins for markdown. You can get features like screen-splitting, async plugin, built-in terminal emulator out of the box. Neovim is better compared to Vim when it comes to integration. This markdown editor has improved over Vim’s source significantly and enables amazing performance blended with convenient functionalities for writing markdown documents. If you’re as obsessive as me when it comes to silly details, chances are many top-level markdown editors will not click with you. Caret is an amazing minimal markdown editor for Linux that packages performance with convenient features while reducing distractive features as much as possible. The interface of this elegant markdown editor is clean, and the editor is extensively flexible. As a minimal markdown editor, you’ll only get features that you actually need for writing markdown with one of these best markdown editors for Linux. 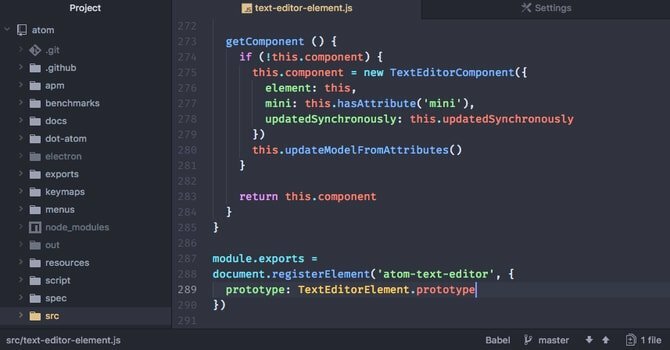 It will allow you features like auto-completion, syntax assistance, multiple cursors, inline rendering, and context actions. One of the best markdown editors for Linux we’ve seen in recent times, Remarkable is a minimal markdown editor that has full-fledged features for writing web documents seamlessly. It features the MathJax engine to help users render complex mathematical terms and equations easily. The side-by-side live preview option is convenient when viewing your markdown output. This lightweight Linux markdown editor is very fast and prettifies your HTML output on the fly. The preview section of this markdown editor for Linux includes syntax highlighting for better visualization while recognizing HTML links instantly. Hailed as the top markdown editor for Linux by many, Spacemacs combines a vibrant feature set with an elegant and minimalistic interface. The editor comes with out of the box support for an almost unlimited number of plugins, that lets you empower the editor even more. 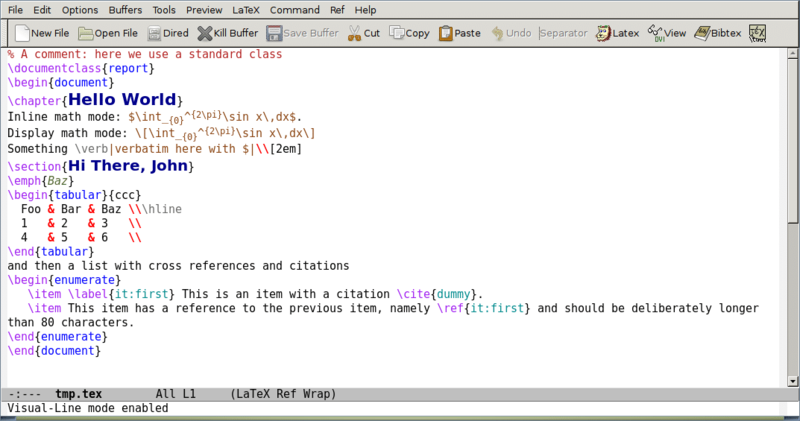 If editors like Vim and Emacs were to merge, the result would look very similar to this Linux markdown editor. The editor supports mnemonic namespaces and provides users the option to key bind powerful functionalities. The editor’s architecture is compelling while supporting features like latex, auto-completion, syncing, and more. A modern take on classic markdown editors, GitBook is simplistic in nature, yet versatile in features. It aims at helping web users document, write, and publish markdown documents very quickly. The feature-rich document processor of this Linux markdown editor is blazing fast and features GitHub flavored markdown out of the box. Their syntax highlighting feature is something we found really soothing to the eyes. This markdown editor for Linux can directly export HTML, PDF, ePUB, and MOBI documents. You’ll also be able to handle mathematical terms pretty neatly, thanks to this editor’s implementation of the math block feature. One of the best markdown editors for Linux that’s based on entirely web technologies, Abricotine is both feature rich and lightning fast. It has a single intuitive pane with live preview interface. The LaTex math block implementation of this markdown editor for Linux ensures you can type in academic documents for publishing on the web right out of the box. Although still in its beta development phase, Abricotine has gained the attraction of markdown aficionado pretty fast. If you’re a web enthusiast looking for a web-based markdown editor, we recommend you to check this excellent markdown editor for Linux. If you’re like me who likes to play with minimal software, chances are you’re going to love ghostwriter, a distraction-free markdown editor for Linux systems. This markdown editor is dead simple and free of distracting features that you don’t need anyway. Although minimal in nature, this Linux markdown editor has a very appealing aesthetic. The editor utilizes head-up displays(HUDs) for providing faster navigation and gives you the ability to drag and drop images. The editor also comes with a portable mode, allowing writers like you carry ghostwriter on the go. Another great Linux markdown editor based on minimal design philosophies, UberWriter is one of my most favorites. The clean yet simplistic interface of this Linux markdown editor ensures you can get right to the writing. Aside from its inline markdown highlighting, it also supports Pandoc’s markdown syntax. Although it doesn’t support GitHub flavored markdown, it can directly export documents as PDF and RTF formats. The drag and drop feature for inserting links or images is great for folks who need to save on some serious time. One of the best markdown editors for Linux systems like Ubuntu, EME is a lightweight and minimal markdown editor with a breakneck editing speed. Built on top of NodeJS and Electron, this cross-platform markdown editor can live up to your expectation right from the beginning. The focus mode of this markdown editor lets you focus on a specific markdown block, while the Vim mode allows for powerful Vim key bindings. As an Electron-based editor, this markdown editor for Linux supports all the dev tools you’d get in the Google Chrome browser. 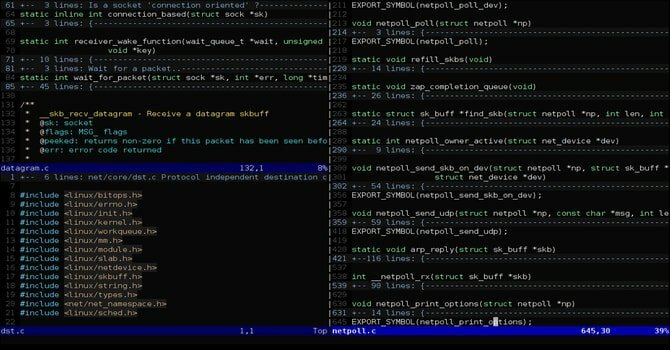 A minimal markdown editor for Linux based systems, MarkMyWords features a seriously minimal interface with only a side by side preview and just 5 buttons. It features only the most elemental functionalities such as live preview, file I/O, state management, and monitoring for file changes automatically. This Linux markdown software is most suitable for users who only need to write everyday blog posts. If you’re looking for a clean, lightweight yet robust markdown app for your Linux system, do not forget to check out Mark My Words. Another lightweight yet flexible markdown editor for Linux, LightMd Editor has lots of convenient features packed together with an easy to use interface. The editor has convenient features such as markdown syntax highlighting and multi-tab support with focus mode for a distraction-free writing session. The editor also has multi-theme support to help you break the visual monotony of the interface. You can also customize this Linux markdown editor according to your wish. MindForger is one of the best markdown editors for Linux that emphasize security more than anything else. It comes with IDE styles for taking important notes that can be easily cloned. The editor refractors its codebase very neatly while providing numerous complex metrics for checking the integrity of a given markdown document. You can easily synchronize your documents across all of your devices, thanks to the smart synchronization feature of this Linux markdown editor. 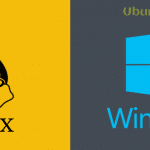 We’ve presented the list mentioned above of top 20 best markdown editors for Linux after weeks of analysis and research undertaken by our creative team at UbuntuPit. We cordially thank you for staying with us throughout this long guide. When choosing the best markdown editor for Linux, we recommend you to stick with proven editors that features functionalities you regularly incorporate into your web documents. You can also use other non-conventional editors if you want to explore new grounds. However, when siding with a particular Linux markdown editor over the other, always try to anticipate how well it lives up to your requirements.